FileBound is a cloud process automation application that improves the way organizations execute work by controlling documents, content and processes. An end-to-end solution, FileBound delivers all of the capabilities needed to implement automated workflows: forms, analytics, integration, capture and more. All of these capabilities can be accessed anywhere by authenticated users from any connected device, including mobile smartphones and touch-enabled tablets. "Upload and manage your business documents in the cloud"
I like the simplicity of the program to upload documents and create managements and divisions depending on which person uploads the files. Any type of file can be scanned and uploaded immediately. This is something that we use a lot, since it simplifies us the rise of invoices, budgets or other administrative issues. The management of permissions to users is also done quite intuitively and helps each person know where they should upload and modify their files. When you first enter Filebound you can see multiple options for uploading files, managing scanned documents and your employees' permissions, all of this may seem a lot at first and you may not understand everything well. You need to spend time with the program to learn its operation well. Sometimes the program is blocked and it takes a while to work well again, but it is not something that affects the integrity of the program, it only causes a little delay in the execution of the tasks. Achieving that uploading files and managing users that upload or modify files is simpler, helping that somewhat tedious tasks do not cost so much time. This software is used to perform those tasks that any company should do. It is a good way to organize documents from different areas of the company within a single software. In our company we have in Filebound invoices, project documents, sales documents. All of them we have divided by sections to be able to access to interact with them in the shortest time possible. We can also select users who can upload or not files and who has access to the system, which helps our company organize itself better in document management issues and have no problems with document handling. "Easy to use, quick to load"
Filebound is an amazing software for uploading, viewing, and downloading transcripts, documents, and more. I love how easy it is to access important files and have them be protected to view. The software is fast and dependable. For professionals who are looking to view financial information online through PDF, this is the way to go. When I first started using this product, I did not have the ability to print. I did not have the access to do certain things. Luckily, through IT help, I was able to fix that problem. Businesses need platforms to review pending documents. My job is to approve loans and financial aid, so this product makes my job 10 times easier. "FileBound Document Management and Workflow System"
FileBound offers a tremendous amount of functionality at entry level cost. The features contained in FileBound are extremely useful for automating a variety of document based processes but these features are usually only found in extremely expensive enterprise level products. FileBound brings expensive product functionality to the table for mid-sized businesses that are not able or not willing to spend large amounts of capital on enterprise level software products. The greatest thing about FileBound, in my opinion, is the flexibility to use the product within any department in an organization to tackle multiple and diverse business problems. Due to the large amount of functionality within FileBound there have been some stability issues with past versions of the product. When rolling out new versions of the product in the past certain pieces of functionality have become unstable or unpredictable, requiring FileBound to review and fix. 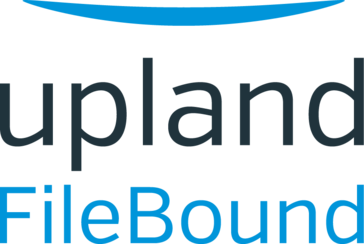 The good news is that FileBound is quick to respond when any issues arise and they work diligently to fix any issues as soon as they arise, leading to many of the stability issues being addressed and fixed by FileBound in previous versions via patches or upgrades. I am happy to report that the currently available version, version 7, is much more stable and reliable than past versions, while including new functionality that has helped the product address specific business needs and become more useful to businesses of all sizes. Make sure that you have any business processes you are planning on implementing in FileBound mapped out completely and in very much detail. This will help you ensure that you are re-creating the client's business process as it currently exists. Additionally be prepared for scope creep and be prepared to push back on it. As clients start to see and learn about the different features within FileBound they become a "kid in a candy store" and want every feature they see implemented in their new process. This is all well and fine and understandable, but you must be prepared to tell the client "not yet", and make sure you get the system implemented first. Trying to include scope creep in an initial implementation is a recipe for disaster, and will very easily cause system implementation to fail. It is best to first recreate the business process in FileBound as it is currently used so that users completely understand what they are doing in the system on a day to day basis. Once the system is implemented you can move onto "Phase 2 and Beyond", which is adding features and functionality that the client would like to improve their current process with. The business problems we are solving with FileBound typically relate to paper pain within an organization. We have helped clients tackle paper problems ranging from backfile conversions and storage needs to electronic Business Process Management (BPM) to electronically capture and route documents through an organization for review. We have used FileBound in scenarios across Accounts Payable (to route and approve invoices for payment), Human Resources (to provide an Employee On-Boarding System) and within Purchasing (to create a Vendor Purchasing On-Boarding System). "FileBound - A Powerful and Affordable Business Process Automation Tool "
Every business process depends on content. When you need to quickly add content management, e-forms and workflow to your business processes FileBound by Upland is an excellent choice. As a systems integrator, I really appreciate the web-based architecture that I can easily implement on site or in the cloud and customize for each client. The e-forms help my clients move away from paper-based workflows that generate tedious labor, to electronic workflows that generate Big Data to drive better performance. Browser-based user interfaces can make consistency issues in the user experience. Paper documents are the original way systems were integrated in the past. Today, if you see paper documents piling up, that is a sure sign that your process is overdue for automation. As you speed up your old paper processes by replacing them with e-forms and automation you will soon learn how easy it is to reproduce those wins in project after project. Just make sure that Project One is in a critical business process with an easily measurable ROI. Paperwork reduction, process automation, better security, better customer experience, improved regulatory compliance, improved data collection for analytics that drive better planning. FileBound is a good product to provide document management of active and inactive records. The cloud solution makes the expenditure small enough for most clients to be able to cope with while the on premise solution gives IT the control they crave. Security and audit trails are excellent and the reporting mechanism available for higher end users is appreciated by many clients who must be able to prove who is accessing what, when and why. No ECM solution is perfect, FileBound is consistently improving through upgrades to make the software features meet client requirements. Records and document management. Physical space has been reclaimed with the removal of filing cabinets, boxes, and piles of paper. Clients can now find what they need quickly. Mobile compatibility. It allows you to access this software remotely through a mobile-optimized site and on their Android or iOS mobile app. That is a huge plus. I had problems with document tagging. I would have to shut the program down and start it up again. It is a little expensive. So do your research. I really love the fact that it can be integrated with Microsoft Office. That cross platform ability is a huge plus. Easy to use. Data is stored in an easy to navigate format. I experience quite a bit of lag time with FileBound. This is a great product that allows companies to keep organized and cut down on paper clutter. We are trying to go as paperless as possible, and FileBound has allowed us to cut back on file cabinets and create an organized document storage solution that can be accessed by all who need it. No risk of damaging or losing paperwork is another huge plus. "FileBound is helpful and useful"
It is great to have a program that can store all invoices, credit memos, etc. for a company in one place that won’t clog up the servers onsite. It is frustrating that the desktop application has to be “installed” every time I want to use it. FileBound is incredibly helpful for storing documents that would otherwise consume an unfortunate amount of space on the servers. We are saving space on our servers and also creating less backlog. "FileBound Administration and Systems Administrator Review"
The product is fairly user friendly and easy to navigate and is also relatively easy to train end users on data input and document retrieval. From an administration standpoint I feel that I spend too much time trying to recover deleted documents and files. Although in later versions the quick delete (hidden from users view only) was made the default setting making restores quicker and easier by no longer requiring a full backup system recovery, it does still appear to be too easy for users to mistakenly delete documents. A document or file restore does require SQL knowledge to run statements for database manipulation to retrieve the deleted documents and files. Weigh the overall licensing costs including server, client seat, maintenance, and support fees which have increased in recent years since we began using the product. Talk to others doing the same type of business for feedback and insights. Consider any data migration costs or headaches including down time if moving to FileBound from another system. We are leveraging FileBound as a tool to capture and integrate document images with our case processing field driven data management system. The largest benefit is that end users are able to have all data and images for a given file in the same place. Although we also use FileBound as a stand-alone data capture and retrieval system, the main benefit for our organization by far is the integration piece. "In the need of a Accounts Payable management system and filebound meet and exceeded our needs"
Filebound was mostly used for our accounts payable department and with over 40 branches the system was able to scan, organize and submit all invoices will keeping them tied to that branch. Corporate was then able to print check in a mass batch. This saved an immense amount of time. "FileBound should be your go to ECM solution"
Robust workflow and eforms capability makes FileBound an easy fit for small, medium and large companies. Also, the interface is sleek and clean. Software updates can be cumbersome at times, particularly as it pertains to the viewer. Quick retrieval of documents makes our work environment much easier. We are also able to collaborate on projects as a team. The workflows also make forms processing very manageable. Pretty good at storing and retrieving a variety of image and document formats with fine grained access control. I hate that you have to have run the server on Windows. I have not used version 7, but the previous versions took a while to setup with quite a few support phone calls. The workflow and Electronic Forms are fantastic. It is also great having ready API access. It would be good if it was also available in the Microsoft Store. If you are looking to improve the quality of your work processes, FileBound is the superior choice. Accounts Payable, Human Resources and Contract Management. "Filebound provides a complete package of document management tools including workflow, e-forms." Robust workflow with easy design and included E-forms. The viewer is a little stale and could go to be update with things like next page and next document button. AP invoice approval and HR documentation. FileBound software is user friendly and gives companies a great place to store documentation. Filebound allows easy document retrieval. Adminstration panel searches are not what expected. Workflow capabilities are great and also Process Automation works well to let you know what documents your are lacking. I really liked the Pricing of the software. The interface is very easy to use and the set up was fairly easy. Any customization seems like it would require a developer to implement. Allowing all offices to view documents and get rid of file cabinets. * We monitor all FileBound reviews to prevent fraudulent reviews and keep review quality high. We do not post reviews by company employees or direct competitors. Validated reviews require the user to submit a screenshot of the product containing their user ID, in order to verify a user is an actual user of the product. Hi there! Are you looking to implement a solution like FileBound?